The same N.J. School Performance Report that said Avon School “lags in comparison to schools across the state” gave high marks to Woodland School for its strong performance. “This school’s academic performance is high when compared to schools across the state (and) when compared to its peers,” the report states. The school met all of its academic achievement targets and all of its student growth targets, and its rank among other schools place it solidly in the high performance category. The school scored “about average” on college and career readiness, according to the report. “I’m very happy with Woodland,” Superintendent Anthony Arcodia said in an interview with the Bulletin. He also mentioned a small sample size might have played a role in Avon’s scores being classified as lagging, but that the school took the test results as an opportunity to adjust to the needs of the students. He said he expects improved results on the next Avon tests. 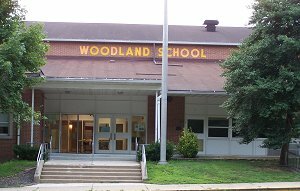 In 2011-2012, 73 percent of Woodland students scored proficient or better in the state Assessment of Skills and Knowledge (NJ ASK) Language Arts test, which met the target set by the state. The percentage puts Woodland in the 45th percentile when compared with schools in its peer group — meaning the school roughly outperformed 45 percent of those schools, while about 55 percent outperformed Woodland. Peer schools are defined as schools that have similar grade levels and students with similar demographic characteristics. Woodland placed in the 58th percentile when compared with all schools statewide in language arts. In 2011-2012, 86 percent of Woodland students scored proficient or better in the NJ ASK math test, which again met targets set by the state. Woodland placed in the 94th percentile among schools in its peer group and 81st percentile among all schools statewide. Overall, Woodland outperformed about 70 percent of schools statewide, the report states. “High performance” is defined as being between the 60th and 79.9th percentiles in that measurement. Woodland’s results were not quite as strong in the “College and Career Readiness” category, which measures “the degree to which students are demonstrating behaviors that are indicative of future attendance and/or success in college and careers.” In middle school, those measurements are absenteeism and how many students are enrolled in Algebra. According to the report, 15 percent of Woodland’s students missed 15 days or more, and 11 percent of students are considered “chronically absent” for missing more than 18 days during the school year. Those numbers are nearly double the percentages at Woodland School, and the result ranks Woodland in the bottom third of schools in its peer group and statewide. The report also found 20 percent of students were enrolled in Algebra, and all students had a passing grade in the course. The enrollment puts Woodland ahead of 71 percent of schools in the peer group and ahead of 58 percent of schools statewide. In the student growth category, the school’s results were mixed. While all targets were met in terms of progression from grade 4 to grade 8, the students showed significantly greater growth in math than in language arts. Woodland students’ improvement in math outperformed about 87 percent of schools in the peer group and about 88 percent of all schools statewide. The improvement in language arts ranked better than 37 percent of schools in the peer group and 50 percent of schools statewide. Coming soon: A review of Haddon Heights’ Jr/Sr High School performance, as reported by the state DOE. 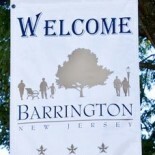 This entry was posted on April 29, 2013 by Barrington Bulletin in Schools and tagged report card.